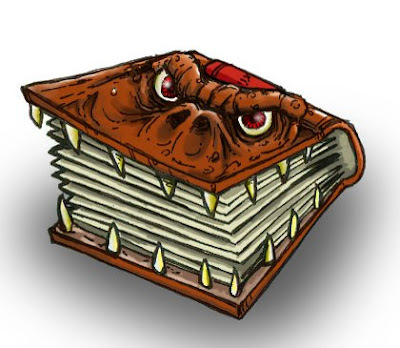 A book possessed by evil spirits, or has used some other means to come to life. During the middle ages it was common practice to bind books in the skins of executed murderers, in particular alchemical grimories. In popular culture the most famous example of this would be the Necronomicon of Evil Dead fame.